At Evans Family Chiropractic, we want to help you live a better life without restrictions. Experience our natural approach to health with individualized care! Same-day appointments are available, and insurance can be used for your visits. Call today! Stress is an inevitable part of life. At Evans Family Chiropractic, we understand that whether you’re sitting at a desk all day, shoveling snow or being active with your family, it can take a toll on your body. Pendleton Chiropractor Dr. Matthew Evans partners with you to improve your quality of life and help you return to the things you want to do. Our mission is to provide high-quality care to all residents in the Buffalo area. 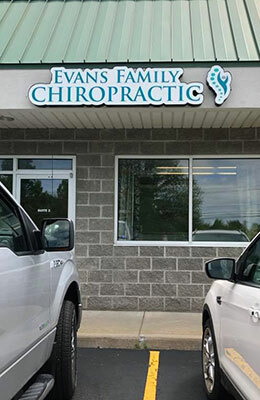 Dr. Evans was born and raised here and is proud to serve his community with customized chiropractic care. We understand that everyone’s needs are unique, and there are no cookie cutter plans at our practice. Instead, they’re tailored to your goals and your body’s individual needs. 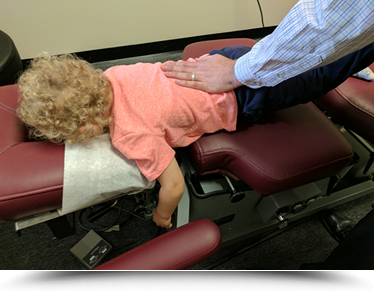 We offer an array of different techniques to assist you, including manual and instrument-based methods with a flexion-distraction table to make your adjustments easy, effective and efficient for you. Get back to doing the things you love. Insurance can be used for your visits, including Medicare, and we have affordable out-of-pocket rates with Chiropractor Pendleton Dr. Evans. Contact us today! I was able to work on a large project out of town with the help of Dr. Evans. I know when I come to see Dr. Evans I will leave feeling much better. Keep up the good work. Dr. Evans got rid of my sciatica and I am back to playing with my kids! 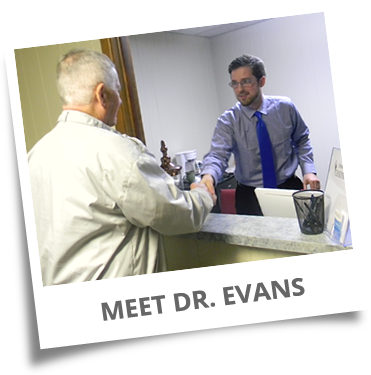 Dr. Evans gave me my first chiropractic adjustment, and I wish I had seen him years ago! Dr. Evans helped me go on vacation without limitations! I didn’t think “bad bones” could be worked on. I was wrong. I am very satisfied with my care and the excellent customer service I’ve received.